W ells, Vermont-Phillip J. “Red” Martelle 85 of Wells, VT. passed away peacefully in his sleep, on April 3, 2019, following a long battle with Alzheimer’s. Red was born on December 5, 1933 in Townsend, Mass. He was 1 of 16 children born to Fred and Harriet (Whitney) Mart elle. Phillip was an entrepreneur. He was always up for the next adventure. He owned a large refuse company and septic tank business in the area. He operated Salamagundis Snack Bar at Lake Saint Catherine, and was owner and operator of several bars including “Reds Place” on Main St. in Granville NY. Phillip also started the Wells Fire Department with the help of his friends and his sons after he lost his home to a house fire. Red loved to wheel and deal, he was well known in the area for buying used merchandise and antiques and anything he thought he could make a buck on. He held many auctions over the years. He enjoyed playing cards and going to casinos. He had a love for country music and spent many hours dancing in the bars. After working many years for John Hlbuna’s farm Red became passionate about White Face Herefords and eventually owned 35 of them, though they were more pets. In his younger years Phillip loved to racoon and deer hunt. He also enjoyed snowmobiling and trucks. He looked forward ever year to attending the Wells Carnival and always admired the little town of Wells. He was a regular patron of Scotties Coffee Shop and an avid coin collector over the years. As soon as his feet hit the floor Red “hit the road”. In his later years Red enjoyed spending time with his family and toy poodle Maggie Mae, she went everywhere he did. Phillip loved of people. He always had a smile on his face and a big wave to everyone whether he knew them or not. Besides his wife, he is survived by his children Randy (Darlene Lourie), Candace (Matthew) Baker, Laurie (Chip) Black, Jean (Bruce) Mattison, Dawn (Paul) Doty, David (Karen) Martelle, Phillip Martelle and Kathie (Kurt Randlett). He is also survived by 22 grandchildren and 33 great grandchildren. Surviving siblings include Stanley, Ernest, Shirley Gould, Ella James and Thelma Hayes. He is also survived by many nieces, nephews, cousins, in laws and many many friends. Besides his parents he was predeceased by his brothers Fred, Morris and Robert and sisters Vera Kelley, Rena Tardie, Katherine Hadaway and Beatrice Durrum; his grandson Adam Martelle, great grandson Corey Martindale, son in law Tony Cioffi and 5 nephews Fred, Marvin, Russell, Keith Gould and Terry James. 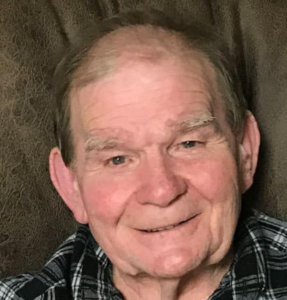 A Funeral service will be held at 1:00 PM on Wednesday, April 10, 2019, at the Robert M King Funeral Home, 23 Church Street, Granville. Friends may call from11:00 AM until the time of the funeral. Burial will follow the funeral at the Wells Cemetery, Route 30, Wells. Family and friends are invited to gather at the M.W.A Hall in Wells, following the committal service.